Hannah Arendt's observations about Eichmann remain to the point. 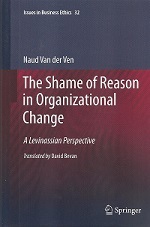 They show it is not necessarily far-fetched to see a connection between totalitarian thinking, bureaucracy and our common desire for the creation of order. If such connections exist indeed, honest family men just can become schreibtischmörder à la Eichmann and evil can get a somehow banal character. But occasionally Arendt could be off and run on. At such moments she had ideas in her head and she was only interested in events that corresponded with those ideas. One of the prosecutors in the Eichmann trial, Gabriel Bach, recounts: “A few days before the trial at once a philosopher arrived, who only used the testimonies and documents which fitted her ideas. With us, the prosecutors, she never even wanted to talk”. 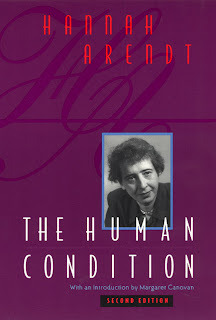 Moreover Arendt could be very severe in her opinion, especially when she speaks about the attitude of the Jews during World War II. According to Bernard Wasserstein she divides Jews roughly into two categories: on the one hand, the passive majority that let itself be led to the slaughter, and on the other hand the members of the collaborationist Jewish councils. I am inclined to link Arendt's harsh assessment of the Jewish attitude during the Second World War to her predilection of the autonomous, sovereignly acting subject. This predilection is associated with a certain disregard towards people in situations in which their free agency is seriously hampered or absent. That is: people in a tight corner, for example by persecution, poverty, or other kinds of dependency. This contempt is there despite the fact that Arendt, as a German Jew, experienced firsthand what it means to be unwanted. She had to flight to France and finally to America to find safe shelter. Maybe she found that to be the only dignified way out for independent thinking people. In any event philosophically she felt most at home with the ancient Greeks, who also believed that there is little glory to be gained by carrying out activities directed at earning a living or at creating a minimum of security. Entirely in the classical Greek vein she sees unbound thinking and acting as the most sophisticated and the most pleasant thing a person can do. It is true the Greeks went a step further and organized things in such a way that servants and slaves performed the lower types of work. Thus free citizens could be completely devoted to the worthy work, such as politics and philosophy. 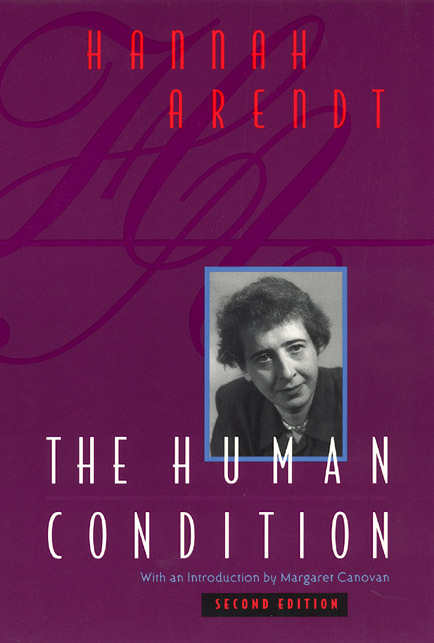 Arendt definitely doesn’t go that far, because in her book The Human Condition she pays much attention to those inferior kinds of work which she calls ‘labor’ and ‘work’. Together with the (political) ‘acting’ which for her embodies the highest species, they constitute the human condition. Yet Arendt was not unequivocal in this respect, she sometimes contradicts herself. On the one hand she says: one cannot cut up reality, all types of work are part of being human. But elsewhere she argues to sharp distinguish between different types of work, and she puts the lower kinds of work on their place: laboring man is actually an animal laborans, a toiling animal. And no craftsman transcends the result-directedness in the same way as the unbound polismember could. Between the lines it is possible to hear Arendt’s craving for the sovereign existence of the Greek free man. From that predilection I explain the reserve she shows on more than one occasion towards the Jewish conception of human existence. Because the latter deviates at this point in an important way from the Greek conception. Whereas the Greek view extols a life purified of labor and work, in the Jewish tradition there is no question of such a strive for purity. Sure, a person shall be praised for the time he spends on Torah and study, but the depending economic existence that we lead should be taken fully seriously. Purifying that away would mean, for the Jewish mind, nothing less than a reduction of reality.